Does your dream wedding have both the elegance of a five-star hotel and the serenity of the ocean? Then The Boston Harbor Hotel is the best of both worlds! 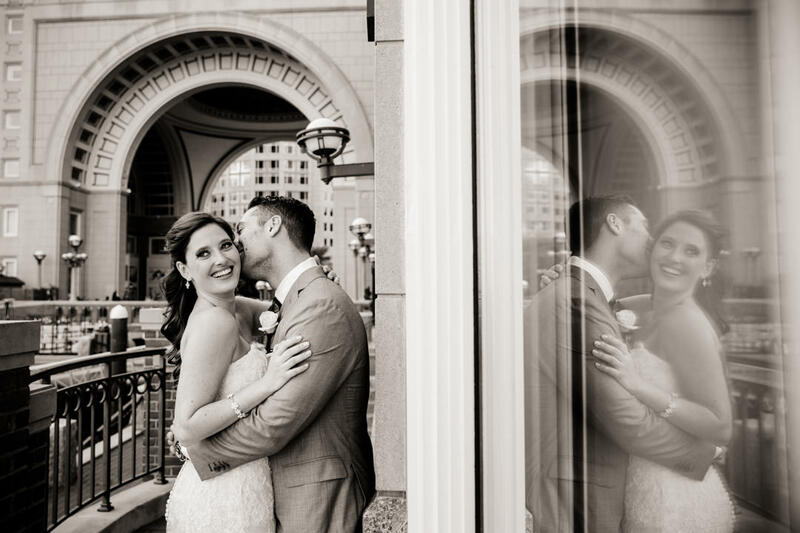 Located on the Boston Harbor, we love shooting wedding portraits both inside and outs. With stunning ocean and city backgrounds, these photos are to die for! Outside the hotel, the water’s edge makes for a magnificent backdrop for a couples first look shoot. Just around the corner, the grand arch adds vogue-level sophistication to any couple being photographed! There’s no end to places we’d love to shoot you, your future spouse, and wedding party. This hotel has numerous room options but we specifically love Pavilion and the Warf Room! For your ceremony, how does 360 views of the harbor and downtown Boston, a dazzling dome, and fantastic architecture sound? Perfect, right? We definitely think so! The Pavilion is the perfect venue, mixing both the city, harbor, and outdoors into one. For your reception, The Warf Room has gorgeous chandeliers and huge windows. It’s perfect for an elegant and romantic wedding ceremony. Unique to the Boston Harbor Hotel is their food! It is hands down our favorite wedding food in the city. Chef Daniel Bruce definitely knows what he is doing. With the views, location, and obviously the food, we can’t recommend the Boston Harbor Hotel enough!